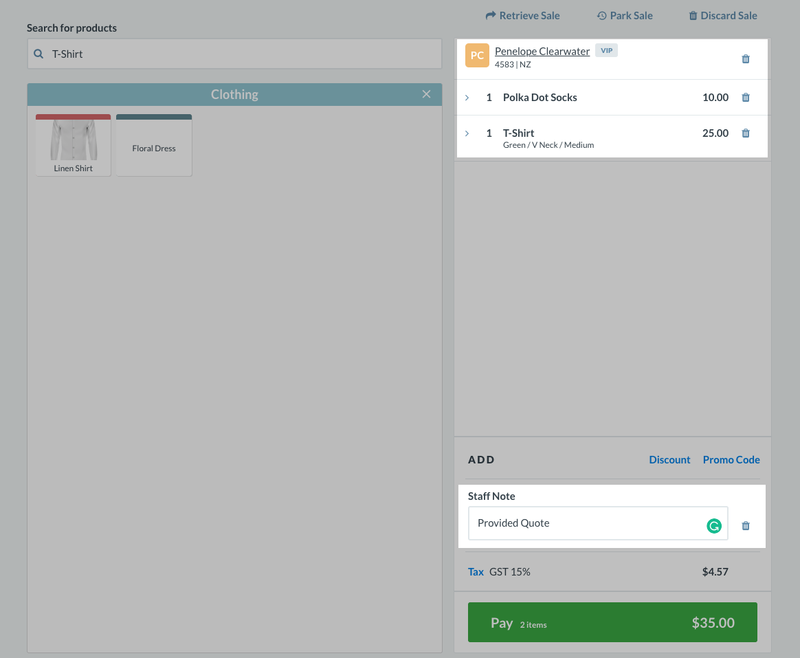 Generating Quotes in Vend – How can we help? A quote is a record of a sale containing products and how much they would cost. It is usually given for customers who are purchasing things in bulk or someone who is shopping around and wanting to compare prices between different stores. Vend doesn’t currently have a specific quote function, however, the Park sale function works just the same. 2. Once this has been done; you can park the sale. On an iPad tap on the down arrow in the top right corner and click on Park sale. On a Mac or PC click on the Park sale button above the sale on the screen. 3. Navigate to your Sales History and locate the Parked sale. 4. Expand the sale and click on the Print Receipt option or Email Receipt to email the quote to your customer. 5. 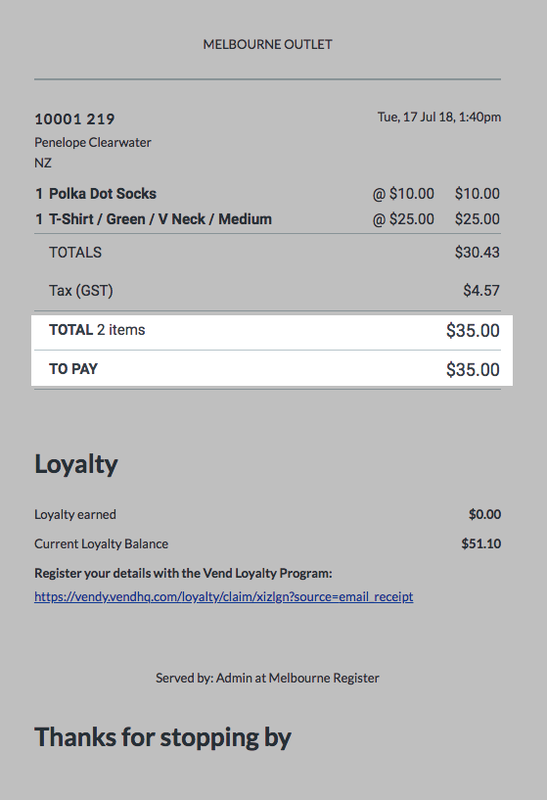 The receipt your customer will receive will contain all the sales information for the goods contained in the sale, and how much your customer would have to pay to complete the purchase. 6. You can then choose to keep the parked sale in your system, or to remove it by Continuing the sale and then instantly selecting Discard Sale above your Add Customer box on the Sell Screen.